Happy New Year everyone! 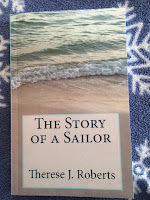 Ok, it's a few days early, but I wanted to announce the availability of my first book, The Story of a Sailor! My author page is: amazon.com/author/theresejroberts! If you buy it and like the book, feel free to leave a review on Amazon. :) Thank you for your interest and support in viewing my website, and I hope you will consider buying a copy of this new book! I am now starting a fiction novel, so be on the lookout in the next couple months for my second book! In this new year, everyone makes efforts to have resolutions. Ways to make our lives better are always at the top of the list, whether it is seeking new hope, new happiness, new changes. Above all, everyone wants the year to feel "new," that it will be better, fresher, and more exciting than the one that came before. May the new year be filled with new adventures, new discoveries, new advances in virtue so that when we get to the end of 2016 we feel that this year was one spent well. Christmastime is considered one of the most joyful and wonderful times of the year. Sometimes our Christmas goes exactly as we planned, and sometimes the unexpected happens. Whatever the case, we remember the "reason for the season" and celebrate the Infant King Whose birthday it is. St. Therese says, "A God Who became so small could only be mercy and love." The Incarnation holds so many mysteries as the most central event in our salvation. The above quote of St. Therese's points to the reason for this event, the mercy and love of God. What is mercy and what is love? To borrow some ideas of St. Thomas Aquinas, mercy seeks to alleviate the sufferings of another, while love is willing the highest good of another. God comes down from Heaven as a little Child to save us from our sins and thus He takes on our sufferings. At the same time, He shows us the meaning of love by giving Himself completely to us, Who is our highest good. Sometimes we don't know what to give God on Christmas, other than to tell Him how much we love Him in return. What God truly wants is our hearts, and everything held therein. Our loved ones, our desires, our needs, our ideas, our treasures, our sufferings... If Christmas comes with sufferings this year, St. Teresa of Avila says: "One must not think that a person who is suffering is not praying. He is offering up his sufferings to God, and many a time he is praying much more truly than one who goes away by himself and meditates his head off, and, if he has squeezed out a few tears, thinks that is prayer." We can be closest to the Infant Jesus in our sufferings, if we remember that from the crib to the cross He suffered for love of us. If Christmas is surrounded by joy, laughter, and good company, then we should be extra grateful. Those moments are the most precious in our lives. For a true Christmas filled with the love of God and surrounded by family and friends is the greatest gift of all. Merry Christmas! It's official! 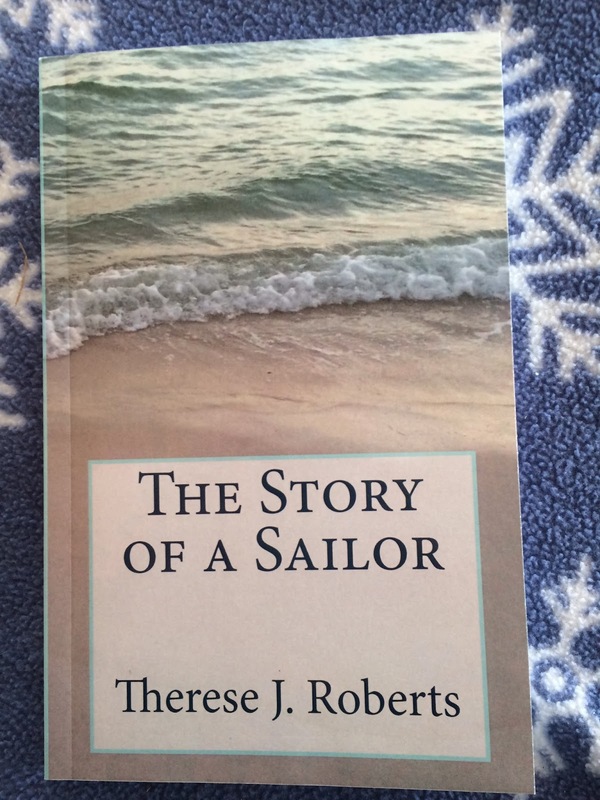 The Story of a Sailor has been published! One of those moments that makes all the effort and time feel worth it. View my author page: amazon.com/author/theresejroberts! Paperback is $4.99 and Kindle edition is $0.99! Great shield as thick thimble. Did fill him with pleasure. Hiding hearts hard and mean. In gold sun’s brightened light. Could not truly be gaged. From this tense dueling dance. In sharp pain bringing harm. Icy eyes dark and chill. For tough tiring long length. Present time called for wits. With full force as one could. Finding loss of cool guard. Own a copy for the New Year!! Each day can be filled with the normal humdrum of ordinary life, but there is one way to make things less monotonous. While the chores and cares that make up our daily life may not change and their monotony may continue to go on, we can nonetheless change our approach to carrying them out. Each sacrifice in life that we make has eternal value. Nothing we do goes unnoticed by God. He sees every suffering we go through and brings good out of it. When we offer up all the daily monotonies to Him out of love, they take on a significantly greater value. Love makes "everydayness" rather "extraordinarydayness." These sacrifices also make us appreciate what we do have in our lives by making us grateful we can even accomplish them. For example, everyone dreads having to do laundry. Yet, doing laundry means we have nice clothes to wear, people we care about in our lives, and the ability to keep our appearance nice and orderly. Not everyone has that in life. To take the everydayness out of the everyday can simply mean being grateful for each moment in our lives and never taking for granted the little things in life. For those little things make up daily life and without them we might end up with pretty boring lives. 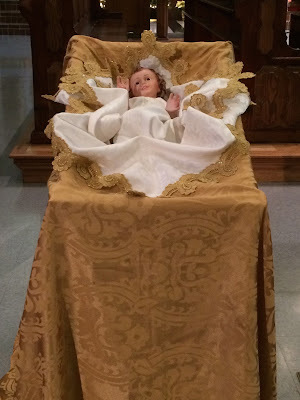 As we approach the great feast of Christmas, we should try to make each day like Christmas by causing all our frustrations in life rather to be little gifts of love for our newborn King. Adventus Domini ~ the coming of the Lord. One of the clearest signs for Advent is the classic wreath with four burning candles in the center, three purple, one pink. Seemingly simple, yet it states so much. The wreath itself is round and ornamental to comprise what makes a wreath, yet the shape of a circle can also represent the idea of eternity. A circle seems to go around continuously, hard to find a beginning and an end. While God is Who we shall adore for all eternity and He is the beginning and the end. From the Catholic Catechism, "Eternity has no end. We can never have a proper conception of its duration, because we have nothing similar to eternity. Millions of ages are as nothing compared to eternity. If a bird were to carry away from the ocean one drop of water every thousand years, a time will come when it will have carried away the whole ocean. But that time is less than the shortest moment, compared to eternity." So what does that mean for us? The idea of eternity emphasizes the importance of using well the time we are given on earth to prepare for the coming of the Lord. Not simply at Christmastime, but also His Second Coming, or rather what may more likely come sooner, His coming for us at our deaths. The green Advent wreath reminds us that such a coming is soon. The candles die down as each week passes, telling us that Christmas approaches, as also eternity approaches. Preparing for our own death should not be a morbid thought. It is simple really. An old maxim says, he who lives well shall die well. Preparing for Christmas helps us to live well. Not by buying lots of gifts, or putting up endless decorations, although these are good too. But, rather to focus more fully on preparing our hearts for Christ's coming to each of us individually, that He may find a worthy dwelling place free from sin and abounding in virtues. For living well, means living fully for God. So let us all make an extra effort to be ready for Christ at His birth, that we may be prepared for Him at our deaths. Hi there! 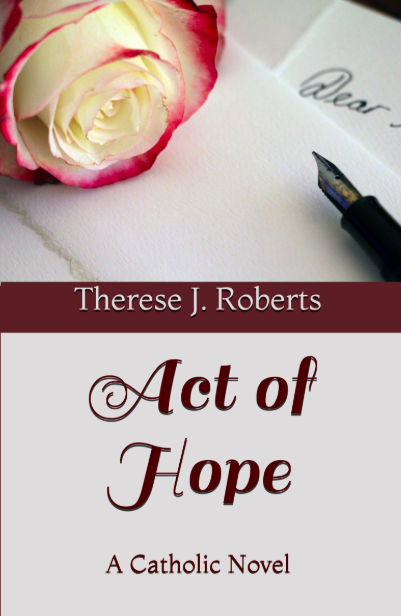 My pen name is Therese J. Roberts and I divide my time between writing novels and running a small business. I believe the work I do will make a difference in this world (by the grace of God) if I touch just one person. This is one of my favorite stories: one evening a squall on an ocean left the beach scattered with starfish. A child noticed this walking along and tried to return the starfish into the waves. A passerby remarked to the child of the impossibility of making a difference since there were countless starfish. The child looked thoughtfully at the starfish in his hand before returning it to the ocean and answered, "Well it makes a difference to this one." I hope you are the one to whom my shop and writing make a difference. A case in point of how one writer can touch one person--the great author-saint, Fr. Robert Southwell, is the reason I became a writer. A priest in Elizabethan England, Southwell was martyred simply for providing Holy Mass and the Sacraments for the suffering Catholics. He stealthily avoided "priest hunters" for six years in London, an impossible task, until he was captured because of betrayal, which led to his martyrdom at Tyburn. Southwell's writings were distributed secretly to the Catholics through his hidden printing press, and his works kept the Faith alive during the persecutions. Southwell's life inspired me because he used his gift of writing with the goal to reach if only one soul and bring that person to God. Be sure to read his poem "A Child My Choice" here which is one of my favorites. My books are available on both Amazon and Etsy in paperback or digital formats. 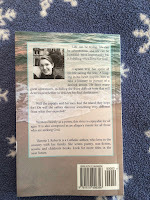 I usually write two books each year and my titles so far include The Story of a Sailor, The Amanda Case Files No. 1: Old Manor Mystery, The Christmas Picture, The Amanda Case Files No. 2: Hospital Mystery, and Act of Hope. There are always more books to come! You can also check out my religious gift store, Handmade Catholic Shop, where I make sacramentals. (You can read about that story under the heading Sacramentals). In the words of St. Francis de Sales (patron saint of writers), "Be who you are and be that well." Pursue your dreams and follow your heart, becoming a saint in the process! 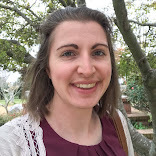 Welcome to the blog of "Writing With Your Heart!" 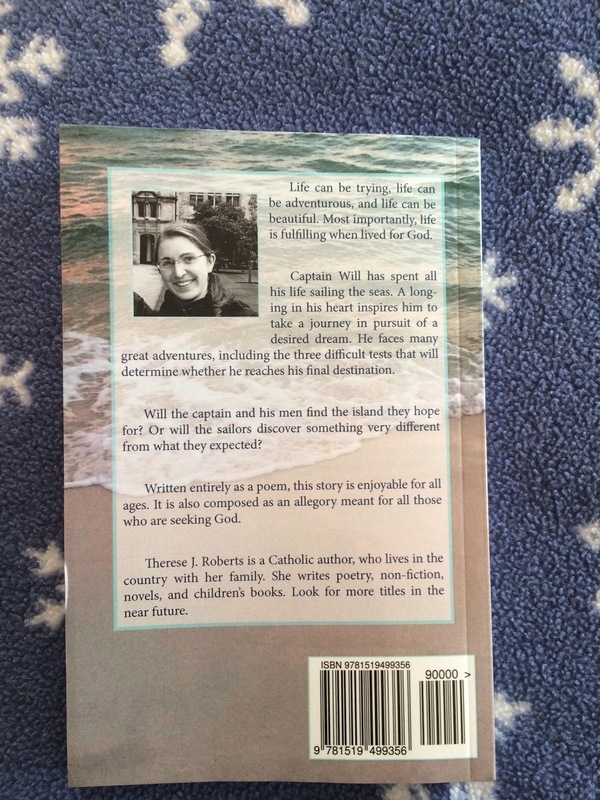 Meet me, Therese J. Roberts, a Catholic author. 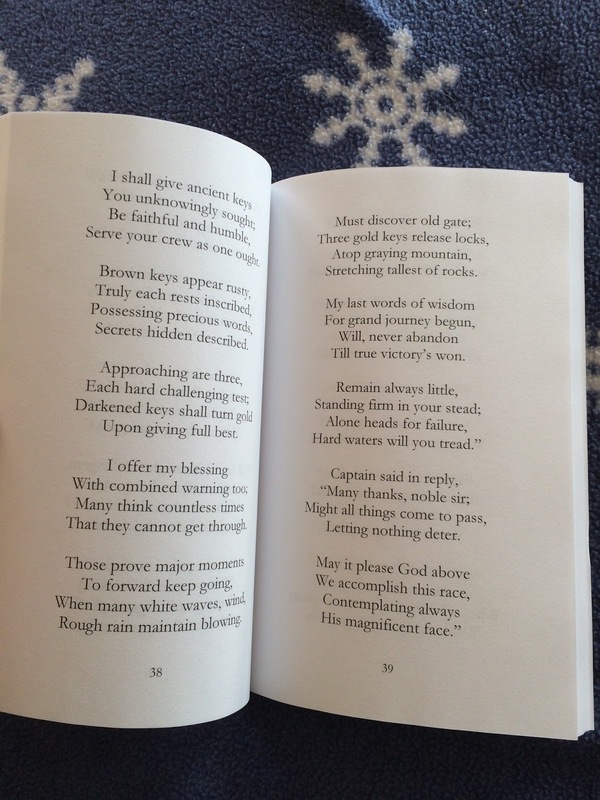 I decided to begin this blog as I finish my first book, The Story of A Sailor. For all those who are interested in following this dream and learning more about my works, this is the place to come! My novels will all be available on amazon.com/author/theresejroberts. My first work should be available this December! In addition, this blog will have weekly writings that focus on the Faith, day to day life, and everything in between. I love to write and good writing always comes from the heart. Too many people write with their head, or what they think will please an audience, or just to make money. Real authors write with conviction, about something they believe in. It comes from deep inside themselves and in turn truly inspires those who read it. As St. Catherine of Siena says, "Be who God meant you to be, and you will set the world on fire." No one should ever settle in life. Life is too short not to follow dreams. For myself, that dream stems from my Catholic Faith. I have desired for a long time to be an author and I am only at the very start. I appreciate prayers for this journey as I hope to become an author who produces works pleasing to God, leading all to love Him better. And my advice to any readers would be to follow your dreams as well! Thank you for following! Write with your heart!